Many sales people are familiar with the concept of the “sales funnel,” with the idea that every sale starts with a large pool of prospects, which are eventually narrowed down by the various steps of the sales process (qualification, presentations, proposals, etc.) leading to a much smaller number of customers who actually decide to buy and close the deal. A big part of success in managing sales leads is developing a better way to understand and manage your company’s sales funnel. Here are a few of the biggest mistakes that small business leaders tend to make in managing their sales funnels – and ideas on how you can get better results. Mistake #1: Always asking for “more sales leads.” Many companies make the mistake of thinking that they can get better sales results just by constantly engaging in lead generation activities to “dump more leads into the funnel.” This is a costly and inefficient way of getting more sales, because it takes time, effort and investment to find more sales leads. Chances are good that your business can improve your sales results by doing a better job of managing the sales leads you already have, instead of constantly hunting for more and more sales leads. 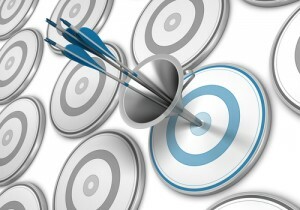 Mistake #2: Focusing on CRM technology instead of your sales process. Many sales organizations make the mistake of investing in expensive customer relationship management (CRM) software but without a clear understanding of how they want to use the CRM software to improve their sales process. CRM technology can be a valuable tool, but it cannot replace a smart strategy for understanding and adjusting your sales activities to line up with your biggest priorities in your sales process. For example, you as a small business leader need to understand what is happening at every stage of your sales process. Are you failing to generate enough appointments during your initial contacts with new sales leads? Are your sales appointments failing to result in enough follow-up sales presentations? Where in the sales process are you having the most difficulty, and what can you do differently? These are the questions that CRM tools can help you answer, but you can’t rely solely on technology to do the hard work of identifying and fixing the problems. Mistake #3: Not training your sales team. Sales training is not just for new hires. Sales people need motivation, coaching and a clear idea of what they’re selling and how to adjust to customers’ changing needs and expectations. You have to constantly keep your sales people up to date on the latest ideas and sales techniques. Help your sales team learn from each other and collaborate by sharing their experiences on what works and what doesn’t. Listen to your sales people during their sales calls and offer coaching and guidance on how to improve. Mistake #4: Not measuring each stage of your sales funnel. Many sales organizations focus too much on their final deal closing ratios, and don’t pay enough attention to the conversion ratios that lead up to the final negotiations with the buyer. Take a look at all stages of your sales process and measure your success rate at each stage. For example, out of 100 sales leads, how many will agree to an initial appointment? How many of those appointments lead to a more extensive sales presentation? Where in your sales process are the biggest successes and the biggest opportunities to improve? Managing your sales funnel needs to be part of an ongoing effort to see what is happening within your sales process and adjusting along the way. If you have a clear understanding of where your challenges are coming from, which parts of the process need to improve, and constantly coach your sales team to improve their efforts at each stage of your sales funnel, you will start to see a better result in the most important number of all – sales.